This past Sunday I participated in an event that was one of the greatest honors of my life. 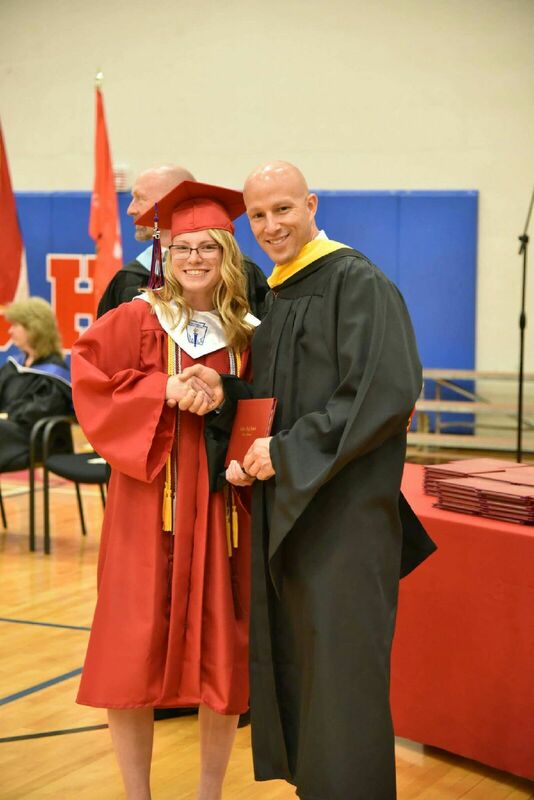 I had the privilege of handing diplomas to the 112 graduates of 2015 graduating class of Clinton High School as a part of CHS’ 142nd commencement ceremony. I’m the current Clinton School Board President and one of the roles of the President is to take part in the commencement ceremony and provide each graduate with their diploma. It truly was an honor to be part of the milestone event for each of the graduates. High school graduation is one of those events you never forget. I remember mine even though it was years ago, I won’t tell you exactly how many years but I’ll give you some context. I graduated high school on May 19 prior to the turn of the last century the year Pearl Jam was blowing up the radio waves, the Chicago Bulls won the first title of their dynasty and the year Silence of the Lambs was a hit in the box office. It was a long time ago but I still remember it. I remember the weather, I remember what I was wearing, I remember who I walked with, it was a big deal. I still have my high school diploma and graduation picture stored in a box of mementos. It was just as big of a deal to participate in commencement this past weekend. I was nervous. I knew how important the ceremony was to the grads and their parents. I considered it a privilege to play a small part in the ceremonial event and I was honored to have the opportunity. Afterall, how often is it you get to be a part of 112 milestone achievements. Like me, most will keep their diplomas forever and the photo will sit atop the mantle for some period of time. I’m glad my hair looked good for the pictures. Congratulations to the CHS Class of 2015. You earned it and thank you for allowing me to be a part of your celebration. Every hair in place like always!